The alternative therapy loved by Olympic athletes (and Gwyneth Paltrow) | HELLO! August 10, 2016 - 15:09 BST hellomagazine.com Could it help them win gold in Rio? Team GB's swimmers are proving to be ones to watch in the Rio Olympics, clocking up a total of four medals to date. But medals aside, some viewers have been distracted by the bizarre red circular marks on some of the athletes, particularly the USA swim team members including Michael Phelps. While they may look painful, it turns out the marks are from cupping – an alternative therapy that has mostly been used in Middle Eastern and Asian countries, especially China. Cupping has earned itself many celebrity fans over the years including Gwyneth Paltrow and Jennifer Aniston, and now many Olympic athletes are hoping it will help to boost their chances of success in Rio, too. The therapy involves having warmed round glass suction cups placed on sore parts of the body, creating a partial vacuum. This is believed to stimulate muscles and increase blood flow, which is said to help boost performance and relieve pain. 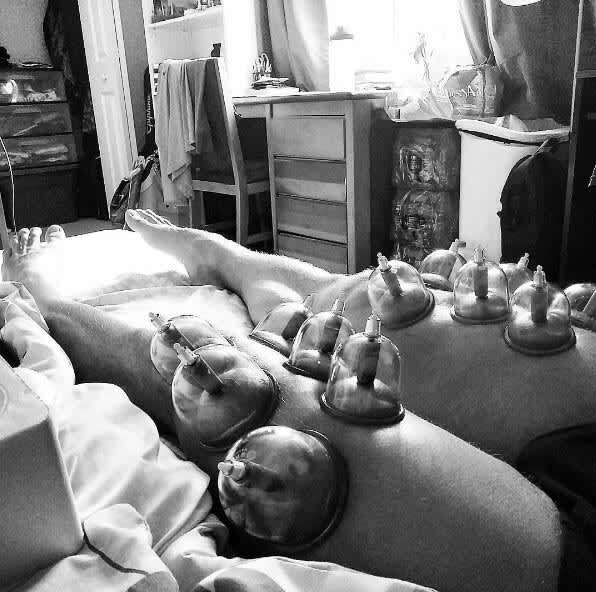 While some have questioned how effective the practice is, Belarus swimmer Pavel Sankovich is such a fan he shared a picture of his cupping treatment on his legs during his Olympics training. "This kinda Saturday morning. Cupping is a great recovery tool," he told fans. Gwyneth Paltrow has previously been spotted with cupping marks on her back on a red carpet appearance, and explained on her lifestyle website Goop that she often prefers to use Eastern medicine such as cupping and acupuncture to heal her ailments rather than Western medicine. "Eastern medicine has a different approach than Western medicine—it's more holistic. The root of the problem is addressed, as opposed to a symptom being attended to with prescription medication, only to return," Gwyneth wrote. "Don’t get me wrong, I am thankful as hell for a round of antibiotics or surgery when necessary, but I have been helped tremendously by various practices that help the body heal itself."